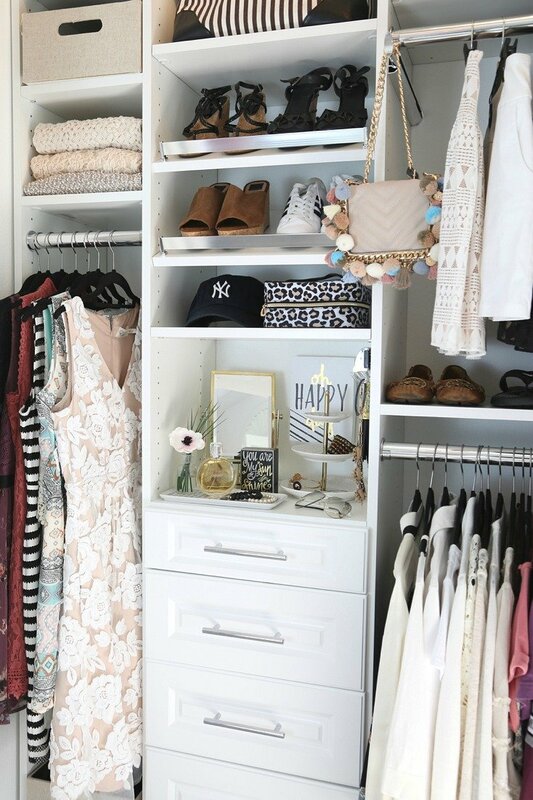 A couple weeks ago, I shared our makeover plan for my teen daughter Bella’s closet here. I’m so excited to partner with EasyClosets for our fun makeover project and today, I’m back to finally share the reveal of Bella’s new fabulous closet! 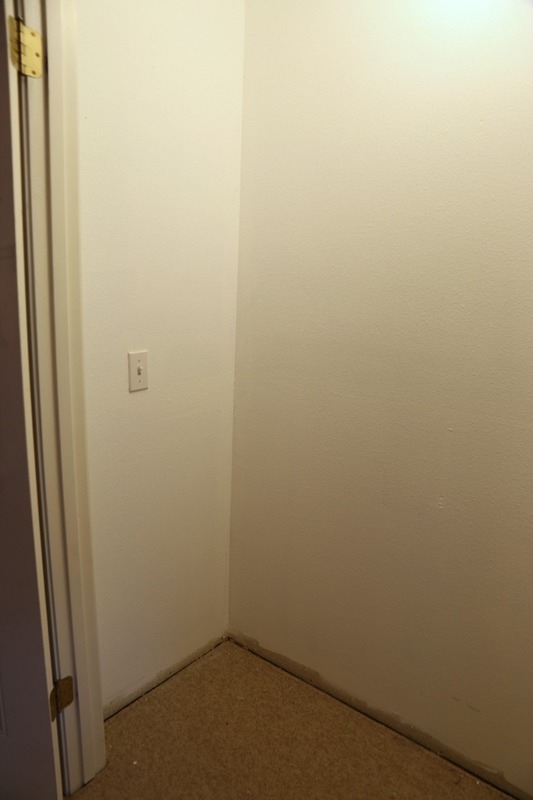 Just to give you little background, this is Bella’s closet before we did the makeover. 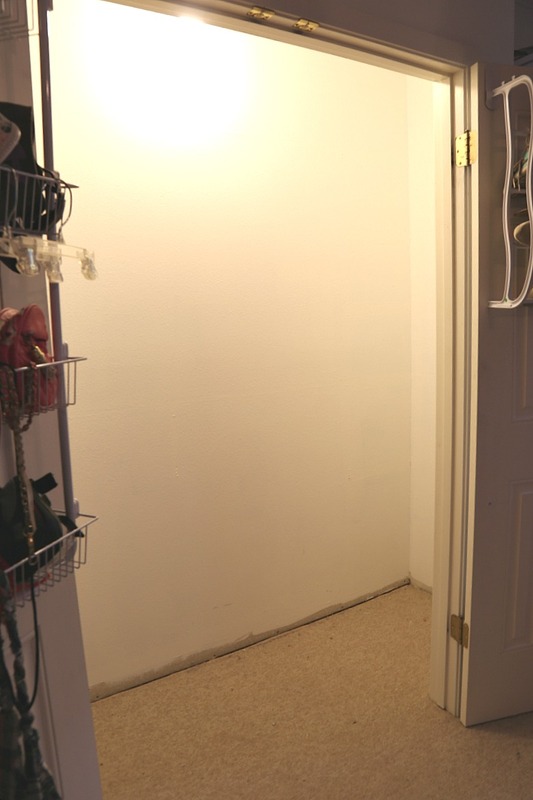 It’s been at least a year since we purged Bella’s closet and as you can see, the makeover was desperately needed! Adding to the closet chaos, Bella has grown close to a foot in the last year. Sadly, she’s as tall as me now. She’s no longer a little girl with little dresses and clothes. She’s a beautiful tall young woman with clothes as long as mine. 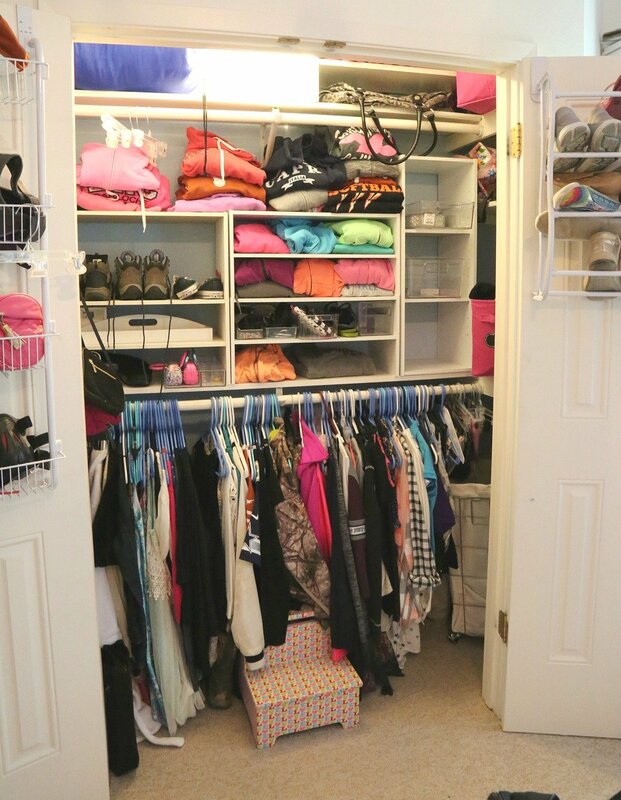 We were excited to get started and work with a designer from EasyClosets to come up with a plan that would not only maximize space but also meet Bella’s needs for a lot of open storage and space for a typical teen. The cool thing about EasyClosets is that you can either design a closet plan yourself (using their online tool) or, you can work with a designer directly to come up with a great plan. 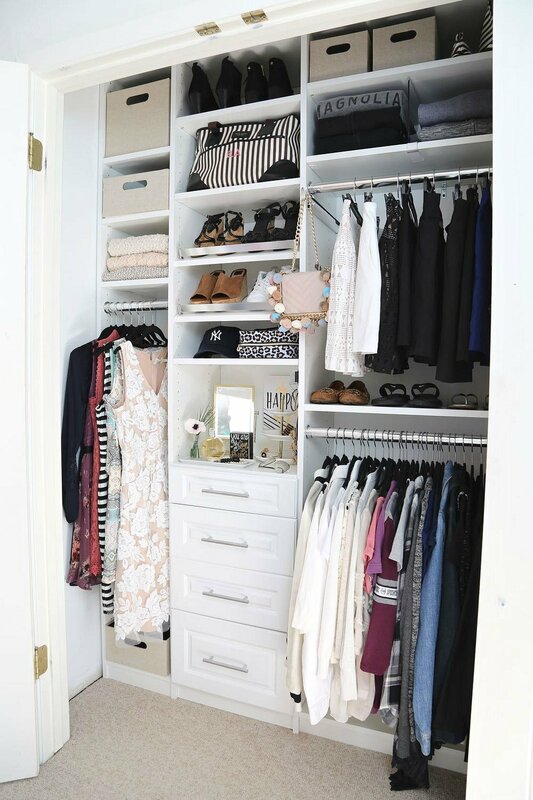 Here is the final results of her closet makeover! We are so excited with how amazing the closet turned out! We were especially impressed with the endless EasyClosets design possibilities, which is so nice because we could really customize the sections. We chose to incorporate a combination of drawers, hanging rod sections and lots of great open adjustable shelving storage. We also had the choice of multiple metal finishes, colors and accessories. When we began the design process, we considered how much space Bella would need for hanging dresses, skirts and tops. She’s a typical sweatshirt/t-shirt wearing teen and more than anything, she needed less hanging space, more drawers and plenty of shelving. We also chose to finish the closet design with a toe-kick bottom trim piece that really helps to make the closet look built-in and finished. 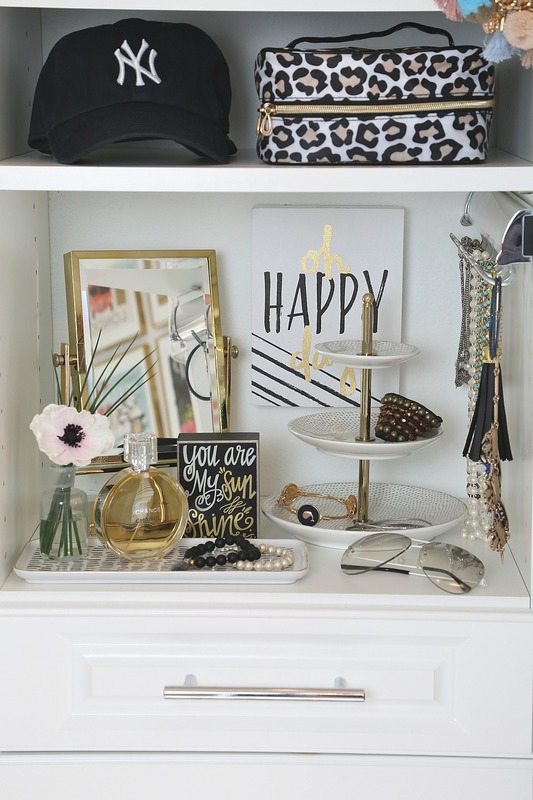 The other great thing we found with EasyClosets is that there are a lot of accessories to chose from and customized storage pieces that can be added to the closet design. We’re especially obsessed with the slanted shoe shelving! 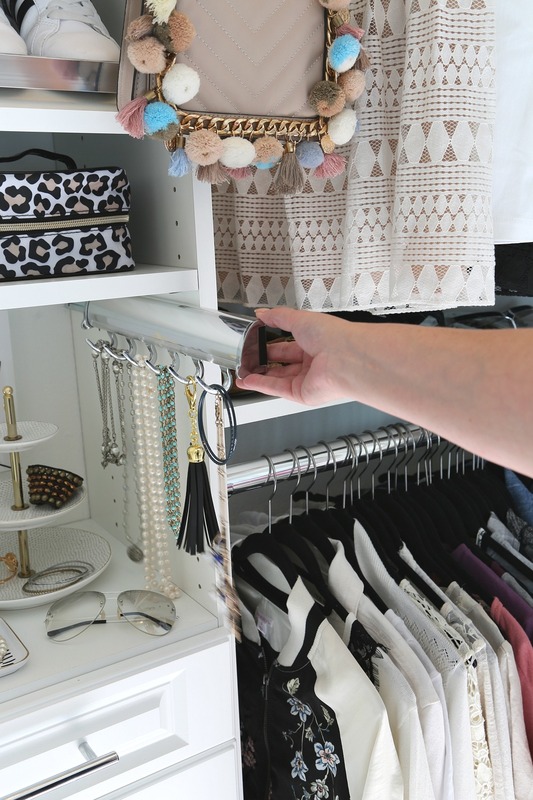 We also chose a pull-out belt holder that we are using for necklace storage. 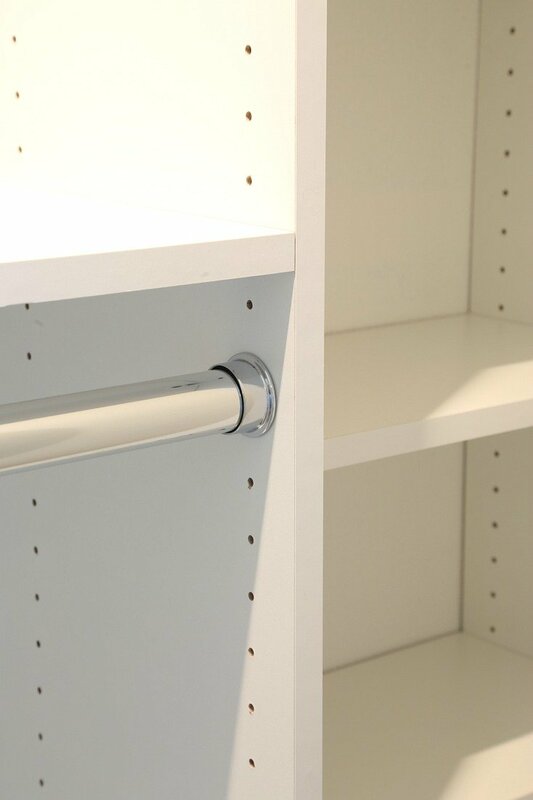 We love the pull-out valet rod for holding an outfit, handbag or pretty much anything. EasyClosets also offers these clear shelf dividers that slip right over shelves to help separate and keep shelves neatly organized. We are just blown away and can’t believe the difference and how much extra storage Bella now has. 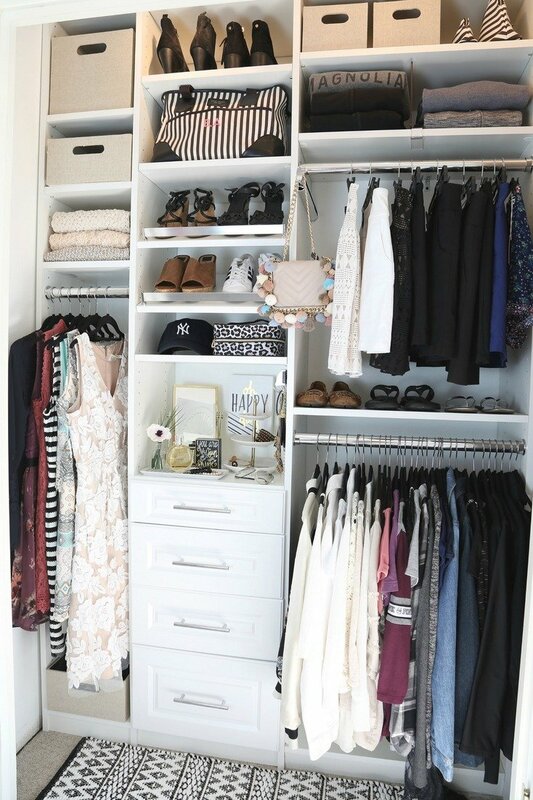 I am so jealous of Bella’s closet and can’t wait to do mine next! 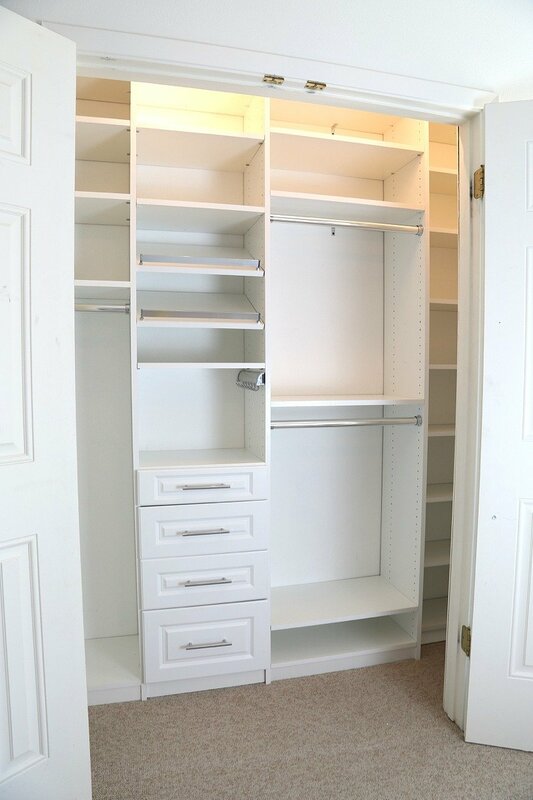 So just to give you a better idea of how the EasyClosets system works, here’s what the closet looked like after installation and before we added clothes and accessories. I was so happy that we were able to take the shelving all the way up to the ceilings to maximize every square inch of the closet. 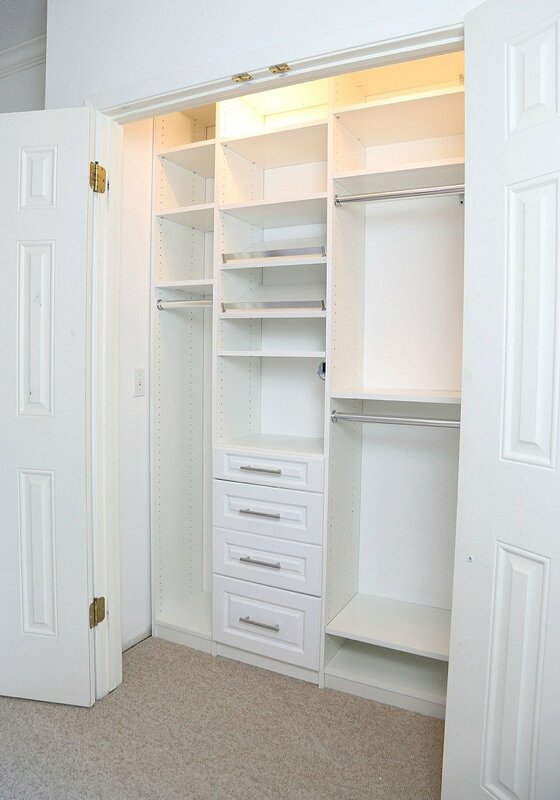 If you’re consider a closet makeover yourself, I wanted to tell you about the EasyClosets installation process to give you a better idea of what to expect. After we finalized our EasyClosets design plan with the designer, all the components were shipped immediately. Everything arrived at one time in multiple boxes and each box had a label with a detailed list of contents, which was such a big help. In box #1, we received a customized booklet with our design plan and detailed instructions that was specifically written for our design layout. 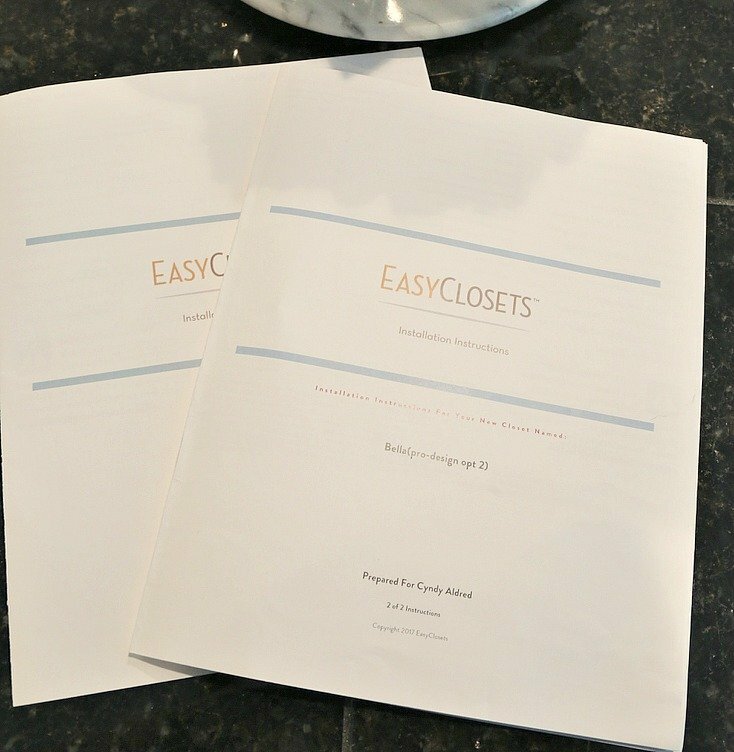 EasyClosets really thought of everything and they make it so easy to get started and begin installation! 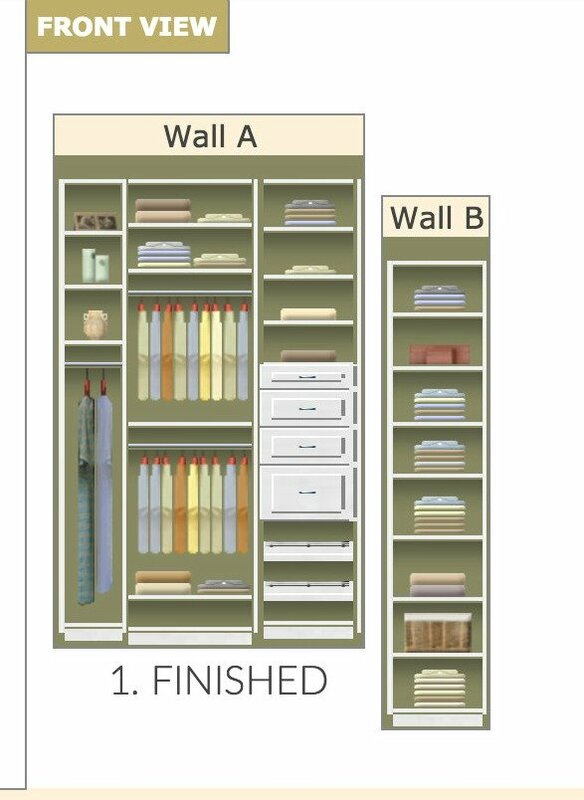 Depending on the EasyClosets design plan, there are a couple different ways that the system is installed and built into the closet. Our particular design was based on individual vertical panel sections that we built on the floor and then slipped into the closet. The instructions and our design plan were very straight forward and detailed. Once we were finished building each section on the floor, we slipped each panel section into the closet and secured the top and bottom shelves to the panel section on the right and left side. In other words, each panel section is locked together, which makes it secure and connects the whole system. Everything comes pre-drilled or dimpled/marked for any screws/nails. We didn’t have to cut anything because the pieces for each section were pre-made/cut to fit the section. I’m telling you, the way they have everything set up makes it very straightforward and well organized. We also had a couple questions along the way and we called EasyClosets customer service and they were so nice and helpful. What’s so awesome is that when you call customer service and give them your name, they pull up your design plans and walk you through any questions specific to your design. The panels have holes for adjusting shelves and the shelves sit on sturdy shelf pins that are slipped into the holes. 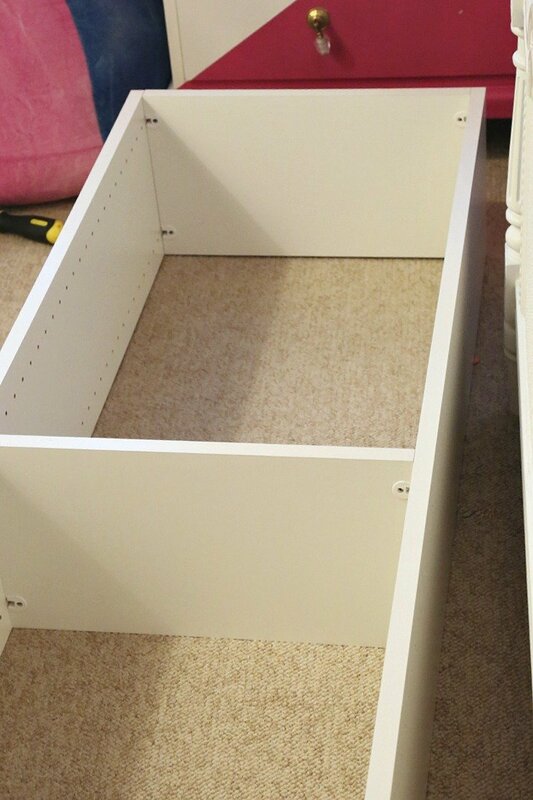 So you can adjust shelves easily at any time! Once we got everything installed, we saw how we could make a few changes from our original design plan that would better fit Bella’s needs. We love that we can easily make changes to pretty much anything in the system over time, which is so nice. 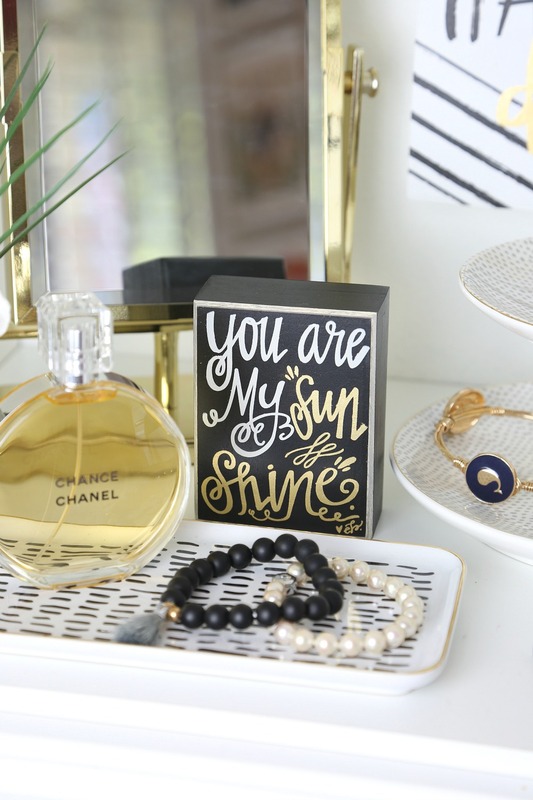 Bella is all set now and hopefully, she’ll be inspired to keep her closet neat and organized! For a finishing touch, even though she is growing up so fast, I slipped in something to her new space to remind her everyday that even though she’s growing up so fast, she will always be my sunshine! If you want to see more EasyClosets designs, you can look through their gallery that is loaded with so many design possibilities here. 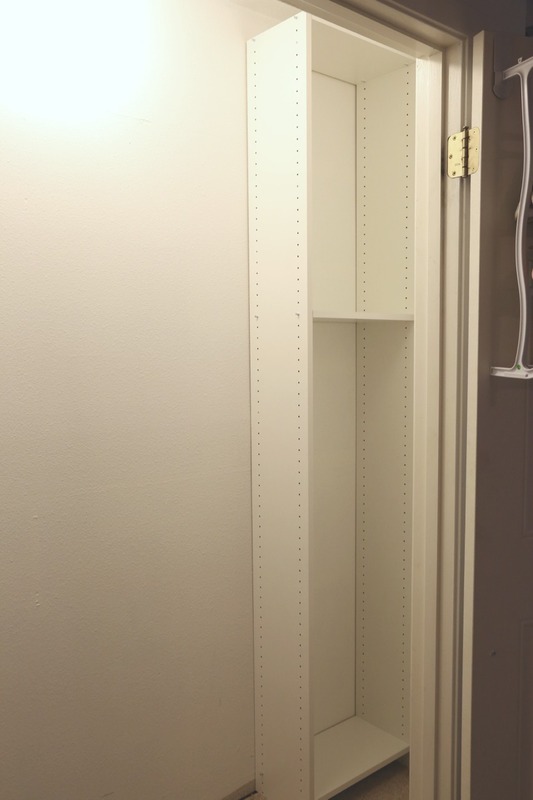 Thank you to EasyClosets for providing a closet system for this series! All opinions shared are my own. Great inspiration on organizing as well as good-looking! Great inspiration on organization as well as good-looking! Thanks for this post. Very helpful and informative. We are getting ready to start an update of our bedroom/bathroom/closet, and I will definitely look at this company as a possibility.